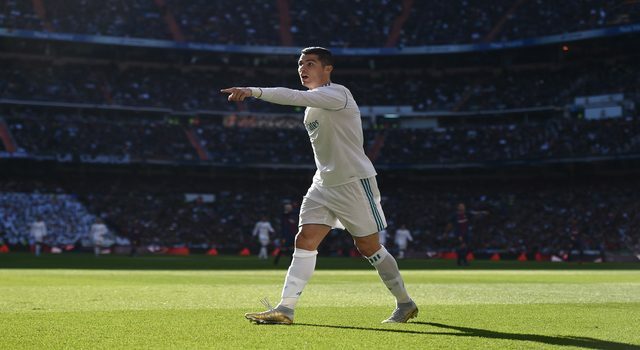 Cristiano Ronaldo has thanked fans for their support over the years that have helped him win plenty of trophies, both on a personal level and a team level. The Portuguese superstar decided to display his personal trophies in a post on his Instagram account. The Real Madrid attacker won his fifth Ballon d’Or in 2017 and all five of the trophies took pride of place in the middle of the post. Ronaldo was using the winter break to make a trip home to Madeira in Portugal. 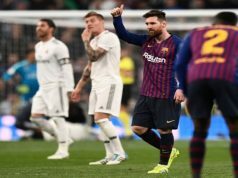 As well as the Ballon d’Or trophies, the others on show were four European Golden Shoes, three UEFA Best Player in Europe Awards and the Best FIFA Men’s Player gong, which he has won in each of the past two years. “I dedicate this moment above all to my family, my friends, my team-mates, the coaches with whom I have always learned and so many others at my clubs and with the national team. 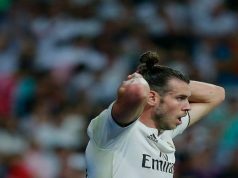 The 32-year-old could be back in action for Real Madrid in the Copa de Rey match against Numancia on Thursday, but manager Zinedine Zidane may wish to rest him until Los Blancos are back in La Liga action against Celta Vigo on Sunday. 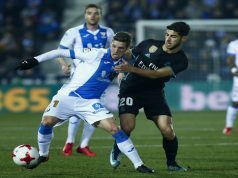 After the defeat to Barcelona, a good run of form in La Liga is crucial in turning the season around and Zidane will know that this is the priority.